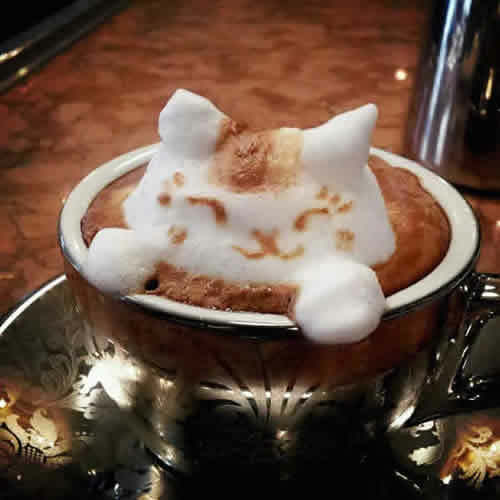 Top 10 best cats in coffee Latte Art, Baristas special! 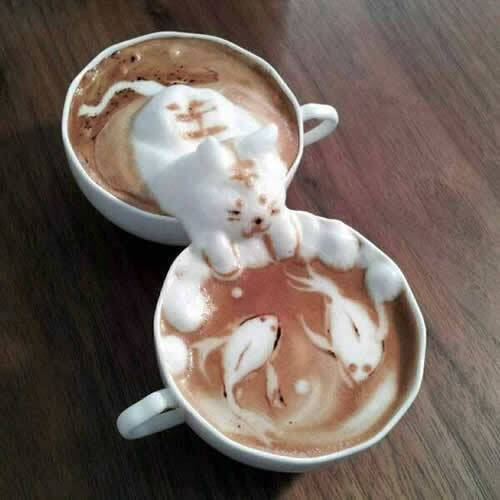 Have you ever heard of Latte Art? 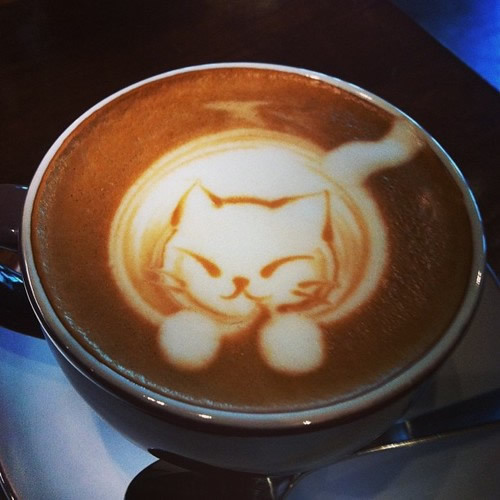 It’s a art form where a barista (a coffee specialist) creates an artwork in the foam of your favorite coffee. 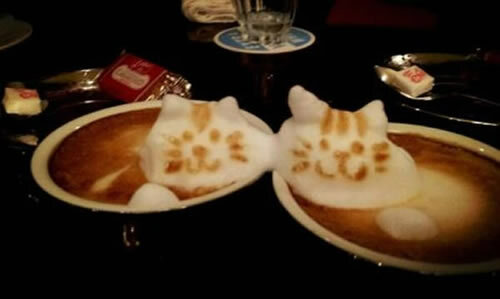 There are some amazing works, and when I recently saw some cats made out of coffee, I just had to share there with you. 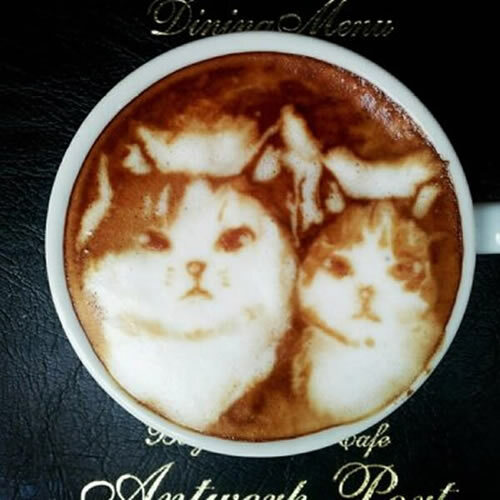 I consider these the top 10 latte art focused on cats. 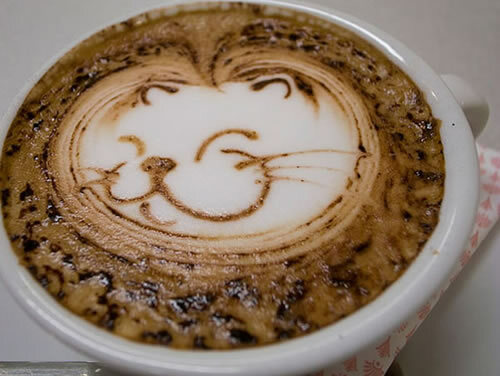 Random order, so you decide your ultimate coffee cat champion! 2. 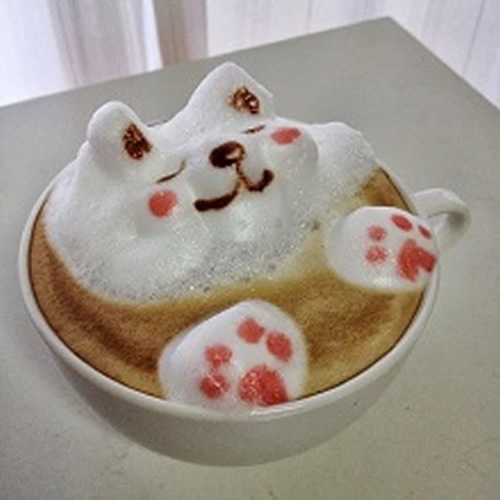 A barista made latte art once. 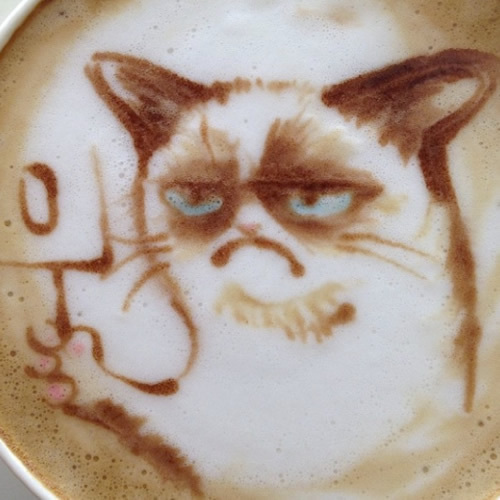 Grumpy cat hated it. 6. Look at that smile and those cheeks! 8. 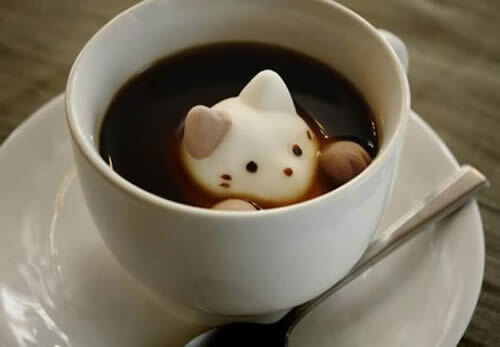 Would you even dare to drink this? 9. 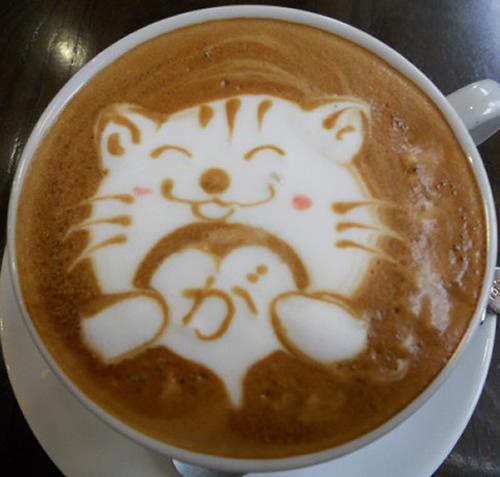 Fat Kitty in Coffee reminds you to cut back on the sugar! 10. Those pink toes are just amazing!